An investigation has been launched after reports that Mercedes-Benz Automobile Finance Co illegally charged a customer a financial service fee, as claims surfaced in Shanghai of dealers also charging fees. The China Banking and Insurance Regulatory Administration has asked its Beijing authority to initiate an inquiry. The woman said she bought the Mercedes-Benz CLS300 from Xi’an Lizhixing Co for 660,000 yuan (US$98,445) but found the engine was leaking oil after she picked it up on March 27. She asked for a refund or a replacement but the dealer only agreed to change the engine. The incident attracted wide attention after a video of the woman sitting on the bonnet of a Mercedes-Benz while weeping and arguing with salesmen at the 4S dealer store on April 9 was posted online. The Xi’an market watchdog launched an investigation and asked the dealer to refund the buyer. The regulator also arranged a face-to-face negotiation between the two sides on Saturday, during which the buyer said she had intended to purchase the car outright. However, the dealer persuaded her to use Mercedes-Benz finance as it is said to feature low interest. The dealer also “forced” her to pay a “financial service fee” of 15,200 yuan to a personal account without providing a receipt, she claimed. The woman said she thought this was fraud as the dealer hadn’t provided any services. Mercedes-Benz issued a statement on Sunday, saying it never asks for any financial service fee from dealers or customers. A Shanghai consumer surnamed Wang who visited several Mercedes-Benz 4S shops to purchase an off-road vehicle said he was asked to take out a loan at the Songzhixing shop on Changshou Road. The salesperson said the car was popular, and many 4S shops would not sell it if buyers refused to take a loan, Wang said. A salesperson would not get a commission without arranging a loan. The same requirement was raised by the Minxing Automobile Service Co 4S shop, Wang said. The Shanghai Consumer Council said yesterday they had received complaints about other automobile companies charging financial service fees. Lawyers said car sales companies often use various excuses to charge fees to raise their profits, which infringes consumers’ rights to make choices. A Shanghai consumer surnamed Huang who wanted to purchase a car at a 4S shop last year was told that he must buy a 13,800-yuan package including sticker and tachograph, and a three-year car insurance if he wanted to enjoy a discounted price of the car. Huang asked several 4S shops the next day, and some had the same requirement. Meanwhile, a woman Wang Wen who paid 340,000 yuan for a new Mercedes-Benz at the Zhongshengzhixing 4S shop on Jinyun Road in Jiading District found it was faulty. She asked for a refund, but the 4S shop refused, and offered free exchange, free components and reduction of insurance fees as replacement. Wang learnt that the car was an “auction car” sold to dealers at a discounted price, and had probably been used for display or trial runs. 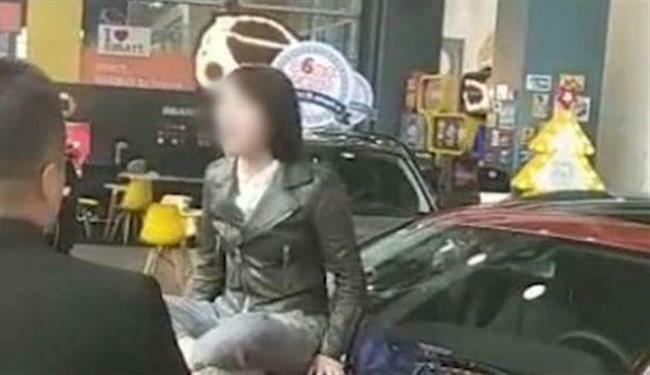 A video of a woman sitting on a Mercedes-Benz and arguing with salesmen has gone viral. RIO DE JANEIRO (AP) — At least 12 people, including two children, were killed Friday when police engaged in a shootout with bank robbers, according to authorities in northeastern Brazil. The two attempted heists in the state of Ceara began around 2:30 a.m. in the downtown area of the city of Milagres, police said in a statement. News portal G1 reported that the robbers blocked off a road into the downtown and took hostages as they began entering two banks on the same street. When police responded, a firefight ensued, leading to several deaths. Lielson Macedo Landim, the mayor of Milagres, told G1 the hostages were executed by the criminal group and not killed by police fire. Macedo Landim said that two children, between 10 and 13 years old, were among the dead hostages. His account could not be immediately verified, as police did not respond to numerous email and phone requests for more information about the shootout or how the hostages died. Two suspects were apprehended, and several fled, according to the police statement. Authorities also seized three vehicles, several firearms and explosives. Andre Costa, secretary of public security in Ceara, said that six of the dead were the attackers. Authorities have yet to release identities of the dead. To search for the remaining would-be robbers, the city announced on its Facebook page that it was suspending public services and urged residents to remain in their homes. Latin America’s largest nation routinely is the world leader in total annual homicides. Ceara is one of the country’s most violent states. Pranab Mukherjee expressed concern over rising intolerance and violation of human rights, coupled with a widening gulf between the rich and poor with top one percent rich pocketing the lion’s share of country’s wealth. Former President Pranab Mukherjee on Friday expressed concern over rising intolerance and violation of human rights, coupled with a widening gulf between the rich and poor with top one per cent rich pocketing the lion’s share of country’s wealth. He was speaking at the inauguration of the two-day national conference on “Towards Peace, Harmony and Happiness: Transition to Transformation”, organised by Pranab Mukherjee Foundation along with the Centre for Research for Rural and Industrial Development (CRRID). “The land which gave the world the concept of ‘Vasudhaiva Kutumbakam’ and the civilisational ethos of tolerance, acceptance and forgiveness, is now in news for rising levels of intolerance, manifestations of rage and infringement of human rights,” Mukherjee said. “Peace and harmony prevails when a nation celebrates pluralism, practices tolerance and promotes goodwill among diverse communities and when we purge the toxin of hatred, envy, jealousy and aggression from our everyday lives,” he said. “Regardless of economic conditions, citizens are happy in a climate of peace,” Mukherjee said. Paying tributes to Guru Nanak Dev on his 549th birth anniversary, Mukherjee said given the times we are living in, it is important to recall his message of “peace and oneness”. He also recalled what Chanakya said that “In the happiness of the people lies the happiness of the king” and the Rig Veda saying that we must live in one assembly, speak in one voice, with our minds in accord. In a poser he asked whether the state was functioning in conformity with the preamble of the Constitution guaranteeing socio-economic and political justice, liberty of expression and thought and the equality of status and of opportunity, Mukherjee said that on the ranking of the happiness of common man, India ranks at 113, on the index of hunger, India is at 119. Similar is the situation on the rating of malnutrition, suicides, inequality and economic freedom. Referring to the Parliament, Executive and the Judiciary, Mukherjee said in recent past these institutions have come under “severe stress” and their credibility is being questioned. Former Union Minister and BJP veteran Murli Manohar Joshi in his valedictory address described as “disturbing” the merging scenarios where the “techno-economic system adopted to produce a democratic egalitarian world order has resulted in an exploitative, extremely unequal and fragmented world”. “Mankind today is, therefore, unhappy, more turbulent, more violent, more fundamentalist and more alienated than ever before”, Joshi said. The root cause of this “out of balance world” needs to be investigated, the veteran leader said. Pakistan’s foreign reserves have dwindled, causing PM Khan to decry the financial situation he inherited. China is willing to provide Pakistan with economic aid to help it deal with its deteriorating finances but more discussions are needed on the details, according to a top Chinese diplomat. 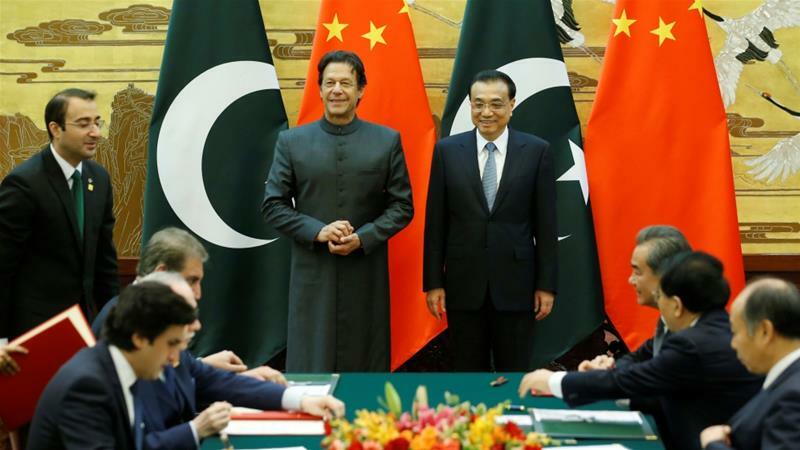 The comments on Saturday by Vice Foreign Minister Kong Xuanyou came after a meeting in Beijing between Chinese Premier Li Keqiang and new Pakistani Prime Minister Imran Khan. Pakistan’s foreign reserves have plunged 42 percent since the start of the year and now stand at about eight billion dollars, or less than two months of import cover. Late last month, Saudi Arabia pledged to give Pakistan a six billion dollars rescue package, but officials say it is not enough and the country still plans to seek a bailout from the IMF to avert a balance of payments crisis. 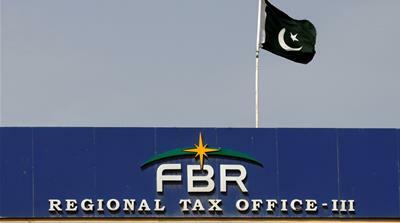 It would be Pakistan’s 13th rescue package from the multilateral lender since the late 1980s. Speaking to reporters in Beijing’s Great Hall of the People following Khan’s talks with Li, Kong said his country would help. “During the visit, the two sides have made it clear in principle that the Chinese government will provide necessary support and assistance to Pakistan in tiding over the current economic difficulties,” Kong said. “As for specific measures to be taken, the relevant authorities of the two sides will have detailed discussions,” he added, without giving details. Khan, whose party swept Pakistan’s July elections, told Chinese President Xi Jinping the previous day that he had inherited “a very difficult economic situation” at home. Though China is Pakistan’s closest ally, Khan’s newly elected government has sought to re-think the two countries’ signature project, the $60bn China-Pakistan Economic Corridor (CPEC), which Beijing touts as the flagship infrastructure programme in its vast Belt and Road Initiative. Pakistan has looked to amend CPEC to put greater emphasis on projects that focus on social development, rather than purely on infrastructure. In his meeting with Li, Khan invited the Chinese premier to visit Pakistan and see for himself the difference the megaproject has made in the country. “CPEC in 2013 was just an idea. Now, it is on the ground. And it has caught the imagination of the people of Pakistan,” he said. Commenting on CPEC, Kong said there were no plans to scale back the economic corridor, but he added that it would be altered somewhat to “tilt in favour of areas relating to people’s lives”. Meanwhile, Khan’s office said in a statement that the two governments had signed a number of agreements and memoranda of understanding in the fields of agriculture, poverty reduction, forestry, law enforcement and socioeconomic development. When scholars of international relations predict that the 2000s will be a “Chinese century”, they are not being premature. Although America remains the lone superpower, China has already replaced it as the driver of global change. There is one economic metric on which China already ranks first. Measured at market exchange rates, China’s gdp is still 40% smaller than America’s. However, on a purchasing-power-parity (ppp) basis, which adjusts currencies so that a basket of goods and services is worth the same amount in different countries, the Chinese economy became the world’s largest in 2013. Although China is often grouped with other “emerging markets”, its performance is unique: its gdp per person at ppphas risen tenfold since 1990. In general, poorer economies grow faster than rich ones, because it is easier to “catch up” when starting from a low base. Yet in other countries that were as poor as China was in 1990, purchasing power has merely doubled. China’s record has exerted a “gravitational pull” on the world’s economic output. The Economist has calculated a geographic centre of the global economy by taking an average of each country’s latitude and longitude, weighted by their gdp. At the height of America’s dominance, this point sat in the north Atlantic. But China has tugged it so far east that the global centre of economic gravity is now in Siberia. Because China is so populous and is developing so quickly, it is responsible for a remarkable share of global change. Since the start of the financial crisis in 2008, for example, China has accounted for 45% of the gain in world gdp. In 1990 some 750m Chinese people lived in extreme poverty; today fewer than 10m do. That represents two-thirds of the world’s decline in poverty during that time. China is also responsible for half of the total increase in patent applications over the same period. For all its talk of a “peaceful rise”, China has steadily beefed up its military investment—even as the rest of the world cut back after the end of the cold war. As a result, the People’s Liberation Army accounts for over 60% of the total increase in global defence spending since 1990. And all of this growth has come at a considerable cost to the environment: China is also the source of 55% of the increase in the world’s carbon emissions since 1990. The new US draft-law on Hezbollah is moving to an advanced stage involving media funders, economic and social institutions linked to the group, in what seems to be “an attempt to isolate the supporters of the party, which is facing increased financial pressure,” according to experts. The new draft-law imposes sanctions on the supporters of “Bayt al-Mal” and “Jihad Al-Bina”, which is involved in construction works, as well as the party’s media institutions, and includes advertisers who broadcast ads through Hezbollah’s channels. While the bill seeks to “increase pressure on banks dealing with the group,” Central Bank Governor Riad Salameh said on Thursday in response to a question about his willingness to enforce the sanctions: “We, as the central bank, issued circulars a while ago, and there aren’t new notices.” He explained and these circulars make Lebanon comply with the laws of countries that have currency or banks dealings with it. He pointed out in a radio interview that those circulars were sufficient enough whatever the new sanctions, adding that there was nothing new on this subject. The US House of Representatives unanimously voted to pass a bill calling for new and harsh sanctions against Hezbollah. The new sanctions aim to limit the party’s ability to raise funds and recruit members, as well as increase pressure on the banks that deal with the group and the countries that support it, especially Iran. The sanctions also prohibit anyone who supports the party materially and in other means from entering the United States. According to Dr. Sami Nader, Director of Levant Institute for Strategic Affairs (LISA), the new bill shows that the circle of sanctions is widening, since it started with Hezbollah’s officials, then reached the entities associated with the party, and today includes the supporters of the group’s institutions. Over a decade after the start of the Great Recession, most Americans looking for a job can find one—the unemployment rate has fallen to around 3.9 percent. Also, following a decline in labor force participation that pre-dated but continued through the Great Recession, the share of Americans aged 25-54 in the labor market has increased in the last few years. Despite these positive developments, the labor market is not perfect. Wage growth is still sluggish, with modest gains offset by inflation. Despite recent increases, the share of prime-age Americans in the labor force is still slightly below the pre-Recession level. Levels of unemployment vary widely across places and the population by key demographic characteristics. In August of last year, The Hamilton Project calculated that the “jobs gap”—the difference between demographically adjusted national employment and its level before the recession—had closed for the country overall. That is, after adjusting for demographic shifts, the economy had added enough jobs to fill the hole left by the Great Recession. But not every group of Americans has fully recovered from the Great Recession. In this piece, we provide an annual update of the employment rate gap, which is different from the jobs gap, by race/ethnicity and level of education. Using the Current Population Survey from January 2007 to May 2018, we identify the “employment rate gap:” the difference between the demographically adjusted 2007 employment-to-population ratio and the actual employment-to-population ratio at a given point in time. It should be noted that this methodology differs from that used for The Hamilton Project’s previous monthly jobs gap series.1 Because we are exploring differential trends by demographic characteristics, we cannot use payroll employment from the Current Employment Statistics, as the “jobs gap” did. Figure 1 shows that, in the depths of the Great Recession, blacks and Hispanics faced much steeper job losses than their white counterparts. What this figure also shows, though, is that blacks and Hispanics recovered from the recession much more quickly, and ultimately closed their employment rate gap before non-Hispanic whites did. Once we account for demographic change, the employment-to-population ratio for blacks is almost two percentage points above pre-recession levels. That said, we note that even with this higher rate of growth for blacks, they still experience lower levels of employment in absolute terms. In June 2018, 58.2 percent of African-Americans aged 16 and older were employed, compared to 60.6 percent of whites and 63.4 percent of Hispanics, and the unemployment rate for African-Americans was still nearly twice the rate it is for white Americans. All three major ethnic groups have a demographically adjusted employment rate above the pre-crisis level, consistent with the demographically adjusted jobs gap having closed. There are three reasons this may not signal an end to slack in the economy. First, as Americans live longer and the Social Security retirement age has increased, older Americans are working longer. The employment rate for 55-64 Americans is well above pre-recession levels while the prime age employment rate is still slightly below its November 2007 level. Second, as noted in Schanzenbach, Nunn, Bauer, and Breitwieser, the employment recovery from the 2001 recession was weak—arguably leaving labor market slack in 2007—such that recovering to the 2007 level may not mark the elimination of labor market weakness. Finally, given that more-educated Americans tend to have higher employment levels, one might have expected the increase in educational attainment from 2007 to 2018 to have raised the employment-to-population ratio. We therefore explore educational outcomes next. Those with less education were disproportionately harmed by the Great Recession (figure 2).2 We see that graduate degree holders—and to a lesser extent bachelor’s degree holders—experienced smaller reductions in employment during the recession. For those with no postsecondary degree, the employment rate gap in 2011 was 5 percent or more, while it was just 2 percent for those with a bachelor’s degree. Recovery from the bottom of the trough occurred earlier for those with more education. The first upturn among graduate degree holders was between 2009 and 2010, between 2010 and 2011 for those with a bachelor’s degree. By 2018, only those with bachelor’s or graduate degrees had returned to their demographically adjusted pre-recession employment rate. Not only have less-educated groups not recovered as fully from the recession, they started at lower levels of employment rates prior to the crisis such that at this point, amongst those aged 25 and higher, 72.5 percent of those with a bachelor’s degree work compared to just 55 percent of those with only a high school degree. The Great Recession inflicted economic pain on many American families, but its burden was not equally distributed. Ultimately, the brunt of the Great Recession was borne by those without the protection of post secondary education. College raises average lifetime earnings, and it also helps insulate workers from economic downturns, providing economic security in the times they need it most. Finally, racial disparities have been less severe in recovery than in the worst years of the Great Recession, though differences in employment rates persist. For the American labor market to be truly healthy, it needs to work for all people—not just some. Putin’s Kremlin subverting Israeli democracy? 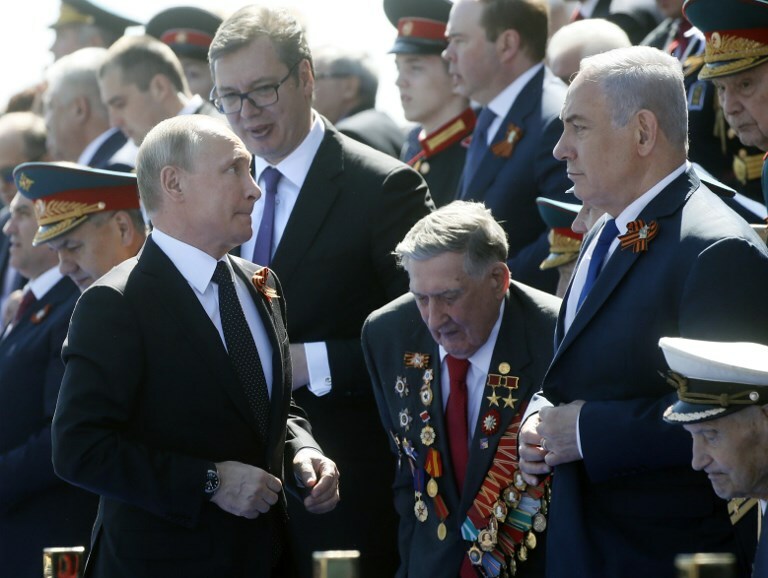 WASHINGTON, United States — Despite the global headlines about Russian meddling in foreign elections, Israeli experts have thus far expressed little concern that it could happen here. At Tel Aviv University’s CyberWeek cybersecurity conference in June, for instance, Israeli officials made light of the impact of fake news and foreign influence campaigns on Israeli society. 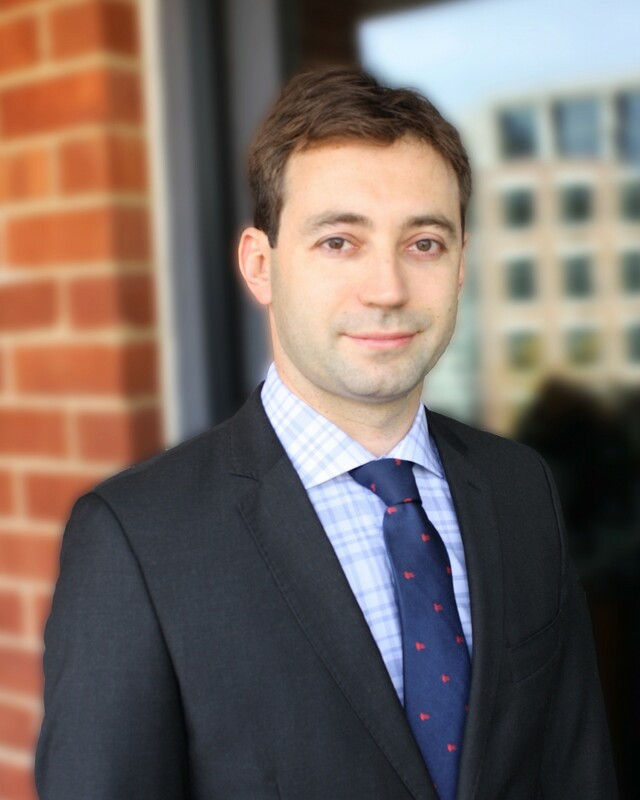 Fake news is a “nuisance,” Eviatar Matania, head of the National Cyber Bureau in the Prime Minister’s Office, told a panel at the conference, not a major threat. Other speakers said they had seen no signs of Russian influence campaigns targeting Israel. But the recent release by researchers at Clemenson University of three million Russian troll tweets created by Russia’s Internet Research Agency between 2012 and 2018 paints a different picture. Reporters from Israel’s Channel 10 News found that tens of thousands of the tweets dealt with Israel and the region and some were written in Hebrew, indicating they were indeed targeting Israelis and people who care about Israel. 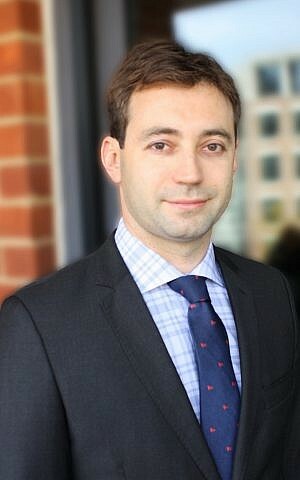 Ilya Zaslavskiy, a Washington, DC-based expert on Russia and head of research at the Free Russia Foundation — a nonprofit led by Russians abroad that says it “seeks to be a voice for those who can’t speak under the repression of the current Russian leadership” — told The Times of Israel that he would be extremely surprised if Russia weren’t carrying out covert influence campaigns in Israel. “We now know for a fact that Russia has been interfering on a massive scale in US, German and UK elections and referendums,” said Zaslavskiy, who is also a member of the advisory board at the Hudson Institute’s Kleptocracy Initiative and an academy associate at Britain’s Royal Institute of International Affairs (Chatham House) think tank. Why hadn’t that happened? During a deeply disconcerting interview in the US capital Zaslavskiy offered some insights. 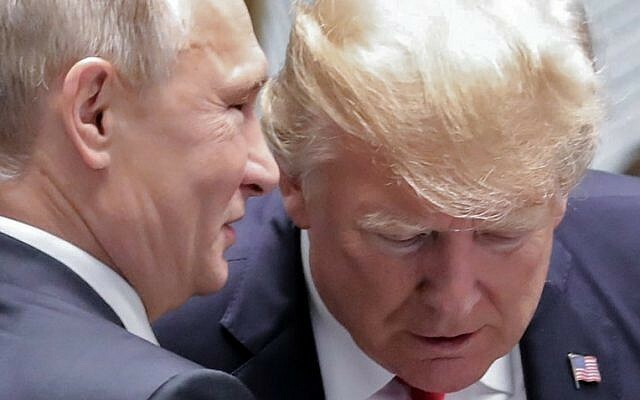 And as the conversation developed, he moved rapidly beyond election meddling to a wider, nightmare vision of an ascendant Russia, with Western democracies weakened and outflanked. Regarding Israel specifically, he described covert, Russian-led processes already unfolding that he believes are undermining the rule of law and democracy itself, and set out specific measures that he believes must urgently be taken if the decline is to be halted and contained. Zaslavskiy believes that both Israel and the West face an existential danger from Russia unless the problem of covert and overt Russian influence is fully acknowledged and decisive measures are taken to combat it. He says most of the West fails to grasp the gravity of the threat, which includes not just efforts to meddle in elections but the exporting of corruption and criminality from post-Soviet countries to the West, thereby undermining democracy itself. In a recent report for the Hudson Institute’s Kleptocracy Initiative entitled “How Non-State Actors Export Kleptocratic Norms to the West,” Zaslavskiy argues that the West did not in fact win the Cold War and that its norms and values, like democracy and the rule of law, are very much in peril. The Times of Israel sat down with Zaslavskiy at a cafe in Washington, DC, to discuss the connections between Putin, Israel, organized crime, election meddling and the decline of democracy in the West. The Times of Israel: There has been a lot of talk about Russian influence campaigns and Russian interference in elections. What aspect of this threat do you think people in the West are failing to grasp? Ilya Zaslavskiy: They are failing to grasp two main things. First they think that the corruption, criminality and anti-democratic developments that happen in a place like Russia have very little to do with their own life or their own country. That’s the first delusion. Today, everything is so much more integrated. When criminal groups supported by security services are allowed to do things in their own country, they immediately export their practices and values to the West, to safe havens where they can actually not only keep their money but can continue their activities. The second thing people fail to realize is that, unlike during the Cold War, there are open channels of business that these kleptocrats can exploit to export their norms and practices legally. You see a lot of money from kleptocratic countries pouring into the West and paying for lawyers, lobbyists, PR people, even journalists, as well as former security people and security companies. In Soviet times this was not possible. Today, a Russian kleptocrat can continue his criminal activities in the West in broad daylight, without being prosecuted and hardly being covered by the press. How might this be happening in Israel, and how might Israelis not be aware of it? 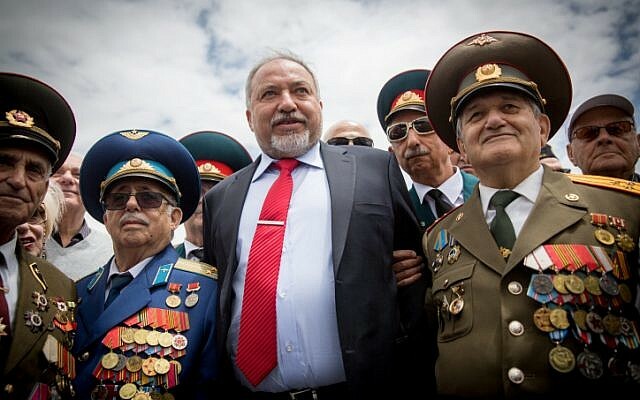 There are many oligarchs of Jewish background from the post-Soviet space, from Russia, Kazakhstan and the Caucasus, who earned their money in a very dirty way in the 1990s and 2000s, and now they’ve moved to Israel. Some have Israeli citizenship and operate abroad and some operate in Israel. It’s not only that they have a luxurious lifestyle, throw fancy parties and buy amazing real estate. That’s another delusion in the West. Many Westerners believe that oligarchs bring their dirty money to their new country but merely as consumers. In fact, they start to invest in assets — in strategic assets, in politics and in newspapers. The vast majority of oligarchs can be hired on an ad-hoc basis by the Russian state or Kazakh state, and can be exploited for political purposes by this kleptocratic state. I recently co-authored a report — “How to Select Russian Oligarchs for New Sanctions?” — that explains why and under what criteria the US government should add oligarchs like the Alfa Group oligarchs to sanctions. There are very powerful figures with lots of money, lobbyists and PR support in Israel. [Prime Minister Benjamin] Netanyahu shows up at events with some of them. Let’s say you have an oligarch who is close to Putin. What would they be doing in Israel? Why should Israelis care? They can do multiple things. 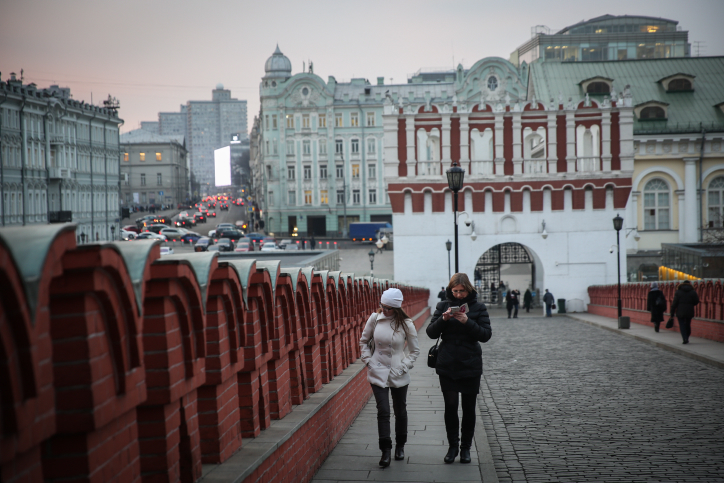 First, they can normalize Kremlin narratives about Israeli interests. 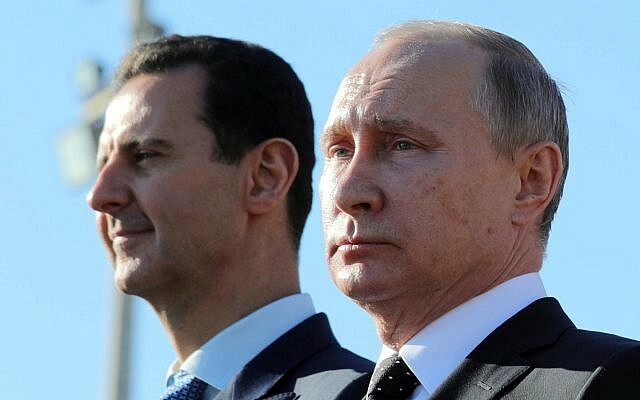 For example, the way they present Russia’s place in the Syrian conflict, in relations with enemies of Israel like Iran, or concerning the Soviet diaspora in Israel. I’m sure they help promote Kremlin propaganda about the Second World War and Russia’s [ostensibly] almost exclusive role defeating the Nazis. And they peddle the Jewish veterans’ theme with the orange and black St. George ribbon. It’s a ribbon that commemorates the Soviet victory over Nazism that has come to be associated with Russian propaganda against Ukraine and against the West — how the West never really stood up to the Nazis, for example. These are not just historical narratives; they are very useful for today’s politics. But the other thing oligarchs can do in Israel is to co-opt the elite, under the guise of cultural and charity events. They can throw fancy parties with caviar and beautiful women and invite politicians. They have held these receptions around Western capitals. I have followed some of these in London, as well as here in Washington. Why would a Russian oligarch own a newspaper or TV station? They may have financial interests and hope to make money but for many of them it is not done for commercial purposes. The reason is to support politicians through the media, and that allows you to get a foothold in the government. You do nice things for the government and then they do nice things for you in return. You establish a relationship and it’s a long-term thing. It’s all very interconnected. The payback is not immediate but it’s a very solid investment. Let’s say a Russian oligarch moves to Israel and starts investing in all kinds of businesses and giving money to charity. Why not just assume he’s retired? No one from that world of state security or organized crime is off the hook because the Russian state has too much compromising material on them, as well as incentives. Also, if you don’t comply you can be eliminated. There is now a book on how Putin most likely ordered killings of dozens of people inside Russia and outside Russia who did not comply with his interests, including from his own security services or organized crime. 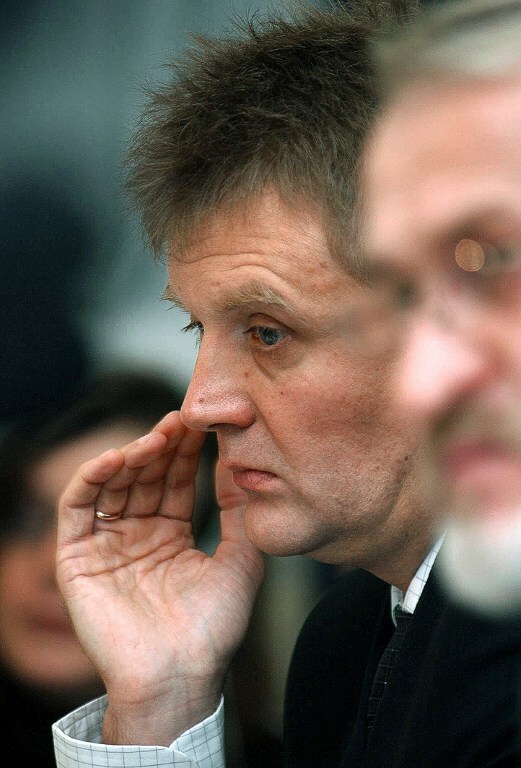 For example, he first used polonium not on Alexander Litvinenko but most likely on Roman Tsepov, who was part of the organized crime group in St. Petersburg in the 1990s that allegedly worked closely with Putin during his rise to power. It’s easier for anyone to comply. There are many oligarchs abroad that he uses on an ad-hoc basis. It’s switch on, switch off. It’s not too demanding or too crazy, and it’s actually acceptable to most of these people. What’s the connection between the Russian state and organized crime? In Soviet times there were three worlds that were distinct — with separate, even contradictory, goals. There was the Communist Party, the security services and organized crime. Organized crime was more or less antagonistic to the Soviet regime. Under Putin these three worlds collided and fused and learned from each other. Security services now oversee the businesses of organized criminal groups. Organized criminal groups carry out the political building and conduct operations for the Kremlin. The ideology of the Communist Party was thrown down the drain but the cynical and pragmatic practices, like co-opting the far right, co-opting the far left, co-opting Christianity or Judaism, remained. You co-opt whoever is important to you in any given country. You can even contradict yourself in different countries but just divide and rule through all these channels — through ideology, through organized criminal groups, through corruption. Organized crime and its networks have become part of the Kremlin’s political instruments abroad, including in Israel. If there were a Georgian or Russian oligarch who wanted to open hundreds of call centers throughout Israel and scam people abroad out of money, is that something that co-opting the elite would allow them to do? Yes. But compared to corruption in Russia which involves billions for a single road or pipeline, binary options and forex are a relatively small-scale fraud. Russia as a state is also involved in hacking and dodgy cryptocurrencies; we now know that for a fact from Robert Mueller’s investigation. Russia as a state, especially its security services and associated oligarchs, are involved in all sorts of dodgy things, including in the digital realm. Someone like Putin would not follow specific criminal activities like binary options, but he sits at the top of a pyramid and there might be levies that make their way from an Israel-based criminal enterprise all the way to the top. Why would a Georgian or Russian criminal decide to put call centers in Israel of all places? For a variety of reasons. Corrupt Russian money penetrates any vulnerable spot in the world. The criminality has not just penetrated Israel. It’s in Europe, in Asia, the Middle East and the US. Why do there seem to be many Jewish oligarchs? It’s a very useful topic to anti-Semitic circles and it’s not true. Maybe in the late 80s and 90s indeed there were a lot, perhaps too many, visible Jewish oligarchs because of the legacy of the Soviet era and tsarism. Jews had been marginalized and pushed into the black market. They traditionally had math skills, due to the way they were raised, and they helped each other, as does any minority network; ethnic minorities tend to help each other. Under Putin, I think it’s a specific propaganda tool to expose Jewish oligarchs much more than the rest of the oligarchs. “Oligarch” is actually no longer a useful term in my view, because it suggests that they still have some power. They lost all their power to Putin. Their only currency today is loyalty, it’s not dollars. Whatever dollars they have in their accounts can be taken away from them at a snap. Yes, they can store their money offshore but they can’t stop working for the Kremlin. Most of them still own too much in Russia and there are too many hooks and levers on them. 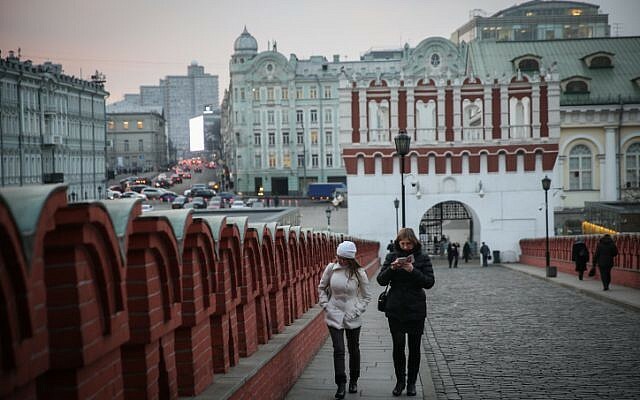 There is no distinction between public and private property in Russia. Everything is owned in one way or another by the Kremlin. So the money that they give as donations, very often they are asked to give the donation. And they have no choice but to give it. Actually, the Russian state tries to present some of these oligarchs as if they are no longer with the regime, as if they are now in the West. It’s all very misleading. I could count actual Russian oligarchs who are completely removed from the Russian state with one hand. Well, Nevzlin is one of the exceptions. He was ousted from Russia. Mikhail Khodorkovsky too. I don’t like the term oligarch. I prefer the term handlers, operatives, maybe agents, rich agents. Many of them are actually front men for the money that they ostensibly have. It’s not actually considered fully their money. I’m sure they’re representing some of the Kremlin money, just under the guise of it being their money. Just to return to your question about the Jewish oligarchs. Currently there are many rich and powerful security people around Putin. They are mostly Russian or a variety of nationalities, but they are secretive and very well protected. Some of the federal ministers as well. 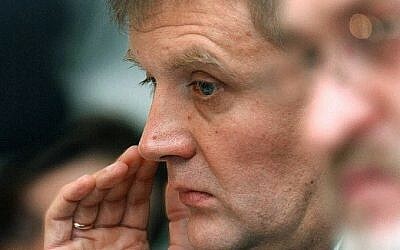 Most of the Russian Duma and government are millionaires. They’re just officials but they have the lifestyle of a mini-oligarch. Should we feel sorry for the oligarchs? It sounds like they can’t escape their gilded cages. Well some of them managed to escape and these are very exceptional, but obviously at a very high cost to themselves. There are actually many whistleblowers and refugees from the Russian regime, some of them reformed, some of them not. London has a lot of people like that. Some of them managed to take out some money while others didn’t. They lost a lot, some involuntarily because they fell out of the system. Only few deserve any kind of empathy. Otherwise it’s a very complicated and dark world. Why do oligarchs give so much money to Jewish and Israeli charities, especially religious ones? It’s co-option and soft power, and they may be even be using these charities to give political donations. For themselves, it’s reputation-laundering and legitimacy. It also allows them to advance narratives that are useful to the Kremlin — like about World War II. For instance, this whole debate about Ukraine. Russia tries to say the current government is a Nazi government, and how all of western Ukraine and their parties are anti-Semitic, how the West opened a second front in World War II at too late a stage and did not help Russia. The Kremlin can co-opt Jews to promote these narratives. 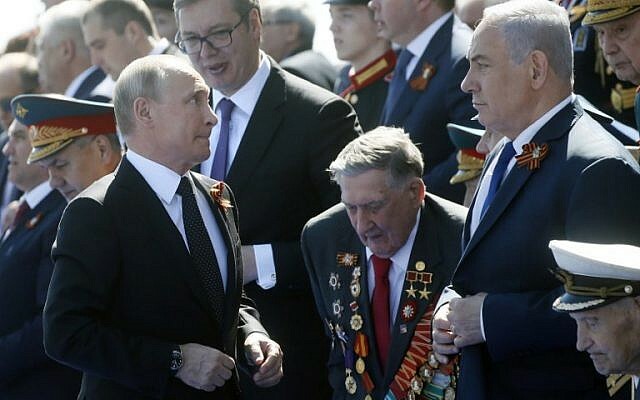 And then there are the May 9th celebrations [V-Day, commemorating the surrender of the Nazis in 1945] by Russia around the world, including in Israel on a large scale now. Funding Jewish charities also gives them access to people. If you have a high-level event at the Metropolitan Museum or the Museum of Jewish History, you get access to politicians so you can co-opt them. If you look at the list of art galleries, museums, and all sorts of Jewish organizations, in New York, Europe and Israel that are associated with Putin’s oligarchs, you will be absolutely amazed and stunned. MOMA, the Metropolitan Museum, operas, Carnegie Hall, the Victoria and Albert Museum, the Tate Gallery. The list is endless. Half of the major Jewish events that I see here in Washington, the fancy ones where you can co-opt elites, are co-sponsored by Russian oligarchs. 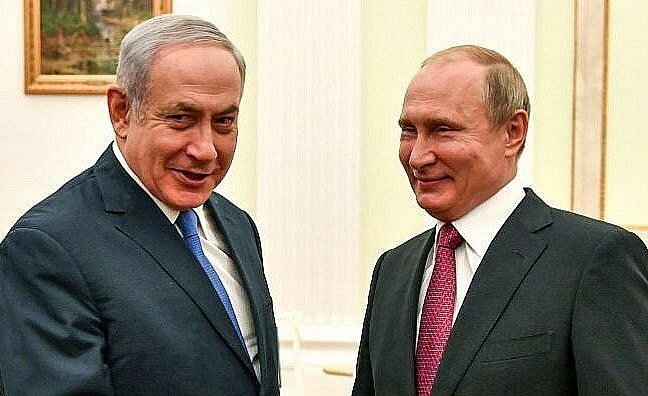 I’m sure that Russian oligarchs have managed to co-opt many politicians in Israel. Look at [the rise in Russia of] Chabad. People in Chabad say, “We are just promoting the Jewish legacy. At least there is no anti-Semitism under Putin.” They find all sorts of excuses [to be supportive of Putin]. Before Putin, Chabad was a marginal group, at least in the former Soviet Union. What is the Russian ruling class’s goal in Israel? To create an environment — a political environment and economic environment — where it’s too difficult for Israel to resist some of the strategic interests of the Kremlin in the region. Not to oppose Russia’s interests. But they’re also interested in subverting democracy. A strategic goal for the next few years is to subvert democracy in the West. In some ways they have already succeeded, and the appetite comes with food, as they say. So once they subvert democracy, the goal is to advance more corruption, more vested interests and then just turn the whole West into a corrupt world. Why do they want to turn the West into a corrupt world? Because then you can engage in what Russians love, which is realpolitik. Whoever is strong gets his own zone of influence and no one else can interfere. Russia would like to divide the world into zones of interest. Look at what they did with influencing the American elections and possibly Brexit. By the time of the 2016 elections in the United States, Russians already had all sorts of Putin understanders and supporters in the press, in the lobbying groups, in business circles, in chambers of commerce, among politicians, even in Congress. They have all these people who are associated with Russia through attending events at the Russian Embassy, going to conferences in Russia and Europe, sitting on boards of Russian companies or galleries associated with Russian money. It’s all done through open channels. They also influence think tanks and their debates and narratives about Russia. There are several think tanks in Washington, for example, which are completely subverted by Russians and that put forward narratives useful to the Kremlin about everything — from Ukraine, to Israel, to corruption — and that acts as a force against an independent press, independent thinking, because you can pollute the whole policymaking and debating environment. Why does Putin want to destroy democracy? Because it competes with his patronage system? Yes. If I had to judge, I think it’s just his enormous lust for power and he’s a control freak. He just can’t get enough. But maybe, some people suggest that his circle pressures him. I would imagine they pressure each other and it’s a constant game of power, so he has to stay afloat and show benefits. You’ve said you think journalists are not writing enough about Putin and his oligarchs? I see it as a huge problem that the Western press is just incapable of covering many of these topics. The press has been marginalized by the internet, so it’s a global trend. Newspapers have lower budgets, they struggle more for advertising, there is much more private and partisan ownership of media outlets. These are all global trends but they influence coverage on Russia also. Even high-level, big outlets like The New York Times and Guardian face extremely aggressive, litigious teams of lawyers and lobbyists of these oligarchs who have infinite pockets and can afford long legal fights. Many newspapers don’t have proper foreign country correspondents. If they do, they have to write quick articles, like one per week without delving into difficult topics. Then there is a vicious cycle where complicated cases about Russia are not covered in the West and so there is no interest about them. And since there is no interest there is no coverage. Most amazingly, most major media outlets do not have a full-time Russian translator and researcher who can fully devote his or her time to the most basic background research for the few investigative journalists that these outlets struggle to support. What will happen to Israel if it does nothing about the corrupt kleptocratic influence you describe? The first stage is that you lose transparency, democracy and good governance. Israel is already losing that. There is no longer separation of powers. There is prevalence of the executive. There is organized crime and no one takes action against it. The police do nothing. This is the first step. Israel may give up many of its positions in Syria very soon. I can’t exclude that. What definitely will happen if we continue on the current trajectory is that the entire West will turn into some kind of Hong Kong. where superficially it is democracy. It has some kind of elections, it looks capitalist and there is modern technology, but in reality a corrupt, non-democratic government actually runs it. For the average person what does that mean? That you’re either a criminal or you’re poor? Exactly, if you don’t become part of the corrupt network, you’re much worse off. You’ll be on the sidelines, as happens now in post-Soviet states. There will be growing income inequality, shady deals, no social mobility and all these problems that are associated with semi-corrupt authoritarian states. There may still be some semblance of democracy. The press will do fewer and fewer investigations and more entertainment and brainwashing. It will be much more partisan — so the only differences of opinion you can get is from vested interests, not from independent and objective civil society. It’s a very harsh, difficult choice. The first step is acknowledgement of what is going on, followed by investigations and revelations of all these things. I am not even sure what can trigger such acknowledgement and exposure. Even the meddling in US elections has not triggered the United States enough, although at least something is happening. After this acknowledgement happens, you need a very robust policy of containment. There is no other choice. Some money flows have to be stopped; some people have to be kicked out of your country, or even stripped of their Western citizenship. There must be much stricter anti-money laundering and due diligence of companies, and auditors should hire Russian or Georgian or Chinese translators to look into the background of people trying to buy assets in the West. Security services have to have a major say in any strategic purchase related to security, defense or the national interest. And then obviously there should be more funds for independent investigative reporters. I am friends with an organization called the Organized Crime and Corruption Reporting Project (OCCRP). They tell me that to train one proper investigative journalist and to keep him safe and to keep him protected from libel suits, you have to have a budget of about $300,000 a year, maybe $400,000. When societies start investing in investigative journalism like that, that’s when the job will be done. And it can’t be one investigative journalist. You have to have dozens. If your readers care about Israel, about keeping it democratic, there should definitely be some civil society efforts, some donations, some Kickstarters. Ultimately people should understand that this will hit them back in terms of their own welfare and their access to democratic institutions, but ultimately even economically. It could happen in very unexpected ways. Your child could end up in a war with Syria, or some conflict instigated by Russia somewhere in the world. In a way this is a repetition of the 1930s. 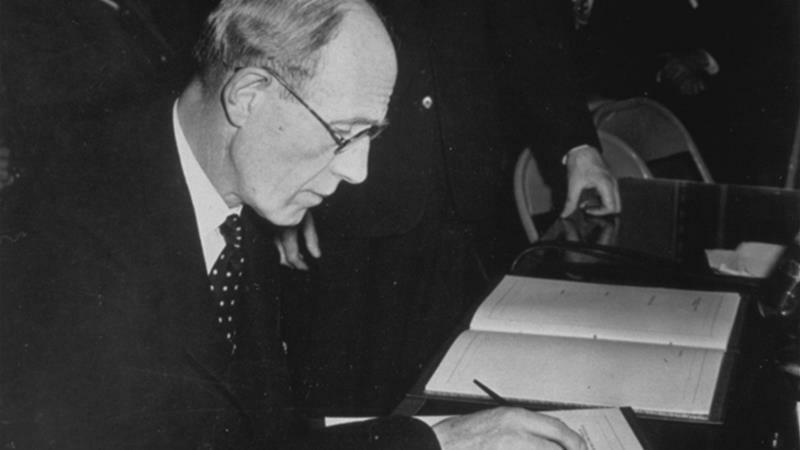 No one thought that events in Nazi Germany would have any repercussions for the United States. But then the country ended up fighting the Germans when it was too late. Could this covert Russian influence constitute a factor in a future Israeli war? What people in general in the West should understand is that the West and NATO are now becoming a minority force in the world; the power of the United States is declining. These large authoritarian states are taking over if not the world then at least Eurasia, countries like China and Malaysia that are not going to become democratic any time soon. The richer they get, the more authoritarian and the more aggressive and expansionist they become. Democratic countries are becoming like an oasis in the desert. A better metaphor is that the West is like a small clean lake, or relatively clean lake, in the middle of a swamp. And the floodgates have been opened. It’s not like the small lake will clean up the swamp. It’s the other way around. So unless you close the doors and put some filters in place, you will be taken over as a swamp as well. It won’t be easy. Consumption in the West will have to be scaled back from those money flows from Eurasia. Some industries will have to suffer, especially those that benefit from gas and oil contracts, as well as lobbyists, PR people, lawyers, all offshore accountants and real estate people. They will have to suffer; they will not make as much money. But the society as a whole will benefit and be able to hold on to its values, like due diligence and good governance. In terms of Israel specifically, if this does not happen, then I think the NATO alliance will be marginalized and might have to be involved in conflicts it doesn’t want. And then Israel will be much more on its own against its foes, and might not receive as much American help as it might hope to in such circumstances. So all this has direct security implications for Israel as a society, and Israel as a state, unfortunately. Corporate concentration in the United States is not only increasing inequality but also undermining competition and consumers’ standard of living. Politically, the commensurate lobbying influence of big tech, big finance and other large conglomerates has created what political scientist Francis Fukuyama calls a “vetocracy” — where vested concerns have amassed the clout to choke off legislative reforms that would diminish their spoils. Why the opposite is happening in the European Union is an unfamiliar tale of how governance one step removed from electoral democracy has been able to resist the lobbying of organized special interests to make policy that benefits the average person. Active antitrust policies in the second half of the 20th century fairly leveled the playing field of American commerce. “But starting around 2000, U.S. markets began to lose their competitive edge,” Germán Gutiérrez and Thomas Philippon write, based on a new study of theirs. Mario Monti — who was Italian prime minister from 2011 to 2013 as well as the E.U. competition commissioner from 1999 to 2004 and is famous for “shooting down mergers in flames” — agrees with Gutiérrez and Philippon. But he adds an important dimension they don’t discuss: how the much-maligned “technocratic” European Commission has been more able than American antitrust authorities to resist undue corporate influence over policy decisions. The result is policy decisions that are more disinterested because the process is less politicized. This same technocratic distance in Brussels that has enabled a vigorous competition policy also applies to Europe’s landmark privacy regulation, the General Data Protection Regulation (GDPR), passed earlier this year. While big tech lobbyists have so far frustrated privacy legislation at the national level in the United States, California has been able to pass curbs on abuses of personal data. Ironically, this was due not to technocratic insulation from politics but its opposite: the citizens’ ballot initiative. A San Francisco real estate magnate funded the gathering of qualifying signatures for a proposition that would impose the same kind of limits on use of personal data in California as contained in the GDPR, forcing big tech to come — reluctantly — to the table. 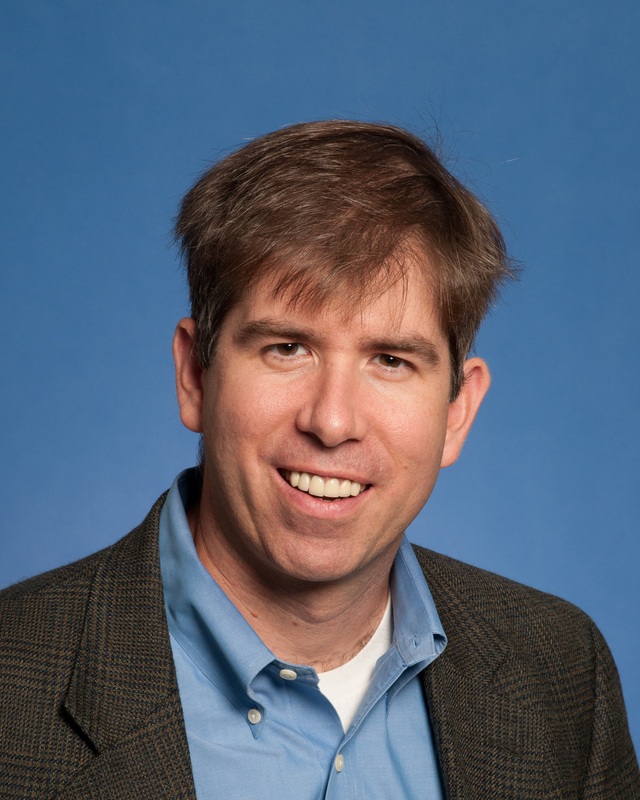 State legislators then negotiated and passed a measure this summer along GDPR lines that would be open to amendment as technology evolves. With legislation secured, the initiative was withdrawn from the public ballot. (If law is made by the citizens’ ballot initiative, it can only be amended by another vote of the public.) 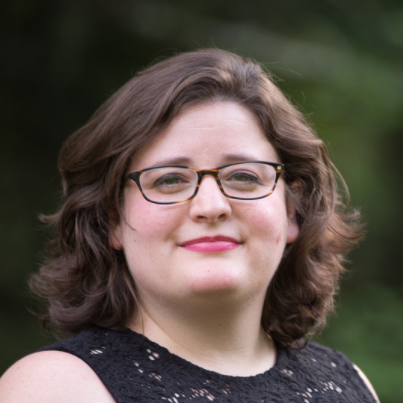 As state Sen. Bob Hertzberg (D), who crafted the compromise between privacy advocates and the tech companies, notes, the law in effect makes California’s attorney general the nation’s “chief privacy officer,” since most of the big tech companies affected are located in Silicon Valley. Making a market that works for the average citizen requires government that acts in the public interest, not at the behest of the largest players in the economy who underwrite the electoral and legislative process. To the extent that elected legislatures are captured by organized special interests, the “vetocracy” can be circumvented either by indirectly elected technocratic authorities or by direct democracy through the citizens’ ballot initiative. The experiences with antitrust and privacy regulation examined in The WorldPost this week suggest that a mixed system that combines disinterested technocrats, elected representatives and direct democracy — each as a check and balance on the other — would be the most intelligent form of governance. ABOUT US: The WorldPost is an award-winning global media platform that aims to be a place where the world meets. We seek to make sense of an interdependent yet fragmenting world by commissioning voices that cross cultural and political boundaries. Publishing op-eds and features from around the globe, we work from a worldwide perspective looking around rather than a national perspective looking out. Learn more about the Berggruen Institute from their newsletter and sign up for quarterly updates here.